These healthy Thai Chicken Wraps can also be made with grilled or cooked chicken as well as from leftovers from my Kalua Pig recipe. Super easy to make but be sure you make the homemade hoisin sauce to put inside of them. 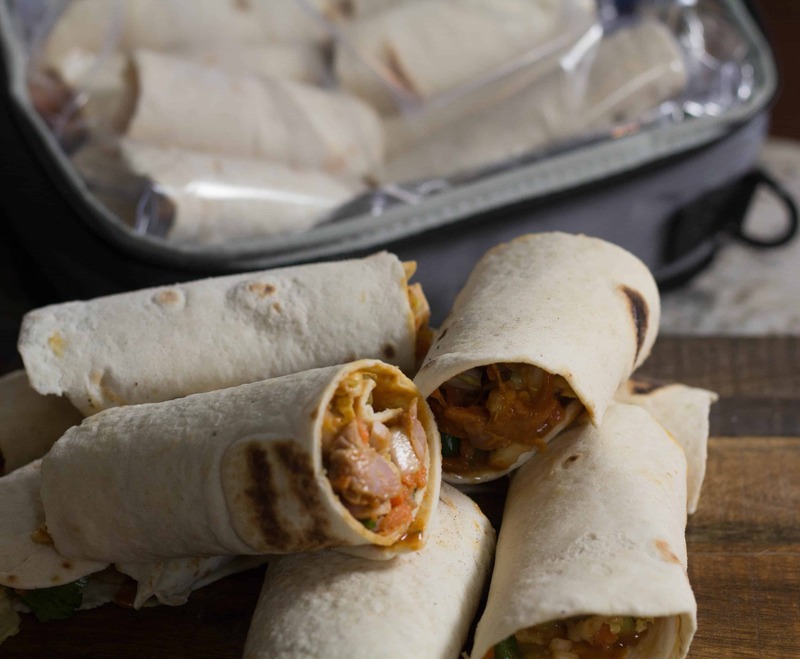 The sauce is the, “Wow,” factor in these wraps and makes them go from ordinary Thai chicken wraps to out of this world delicious! This recipe has been updated. The original post was published September 14, 2017. This post does contain affiliate links including affiliate links from the Amazon Services LLC Associates Program which means that if you click on them and/or buy something I may earn a small commission -at no extra cost to you. I only recommend the things I actually use in my kitchen and/or blog. 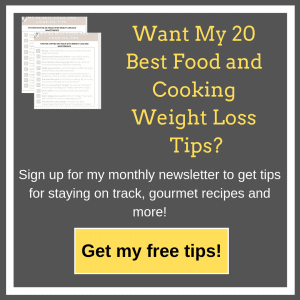 By clicking and buying these items, you help keep my recipe blog running. Thank you! It’s so easy to make these wraps left over grilled/cooked chicken or Kalua Pig. Just mix all the ingredients together along with a few tablespoons of my homemade hoisin sauce. I use my homemade tortillas because they are low in points/calories and hold up well, but you can use store bought ones as well. Place a spoonful of homemade hoisin sauce on tortilla, add filling and roll! After rolling I like to roll them again in parchment paper for easier eating. Great wraps to take on a trip! 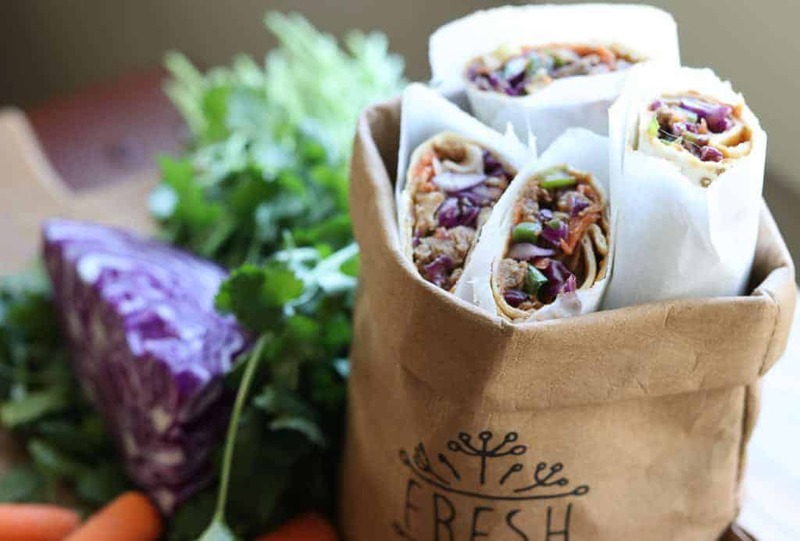 These Thai Wraps are great and hold up well for traveling if you put them in a cold lunch pack. I often take them on the airplane with me. As long as your ice packs are totally solid when you go through security, bringing perishable food is no problem. It’s best to make your own tortillas (see my recipe) instead of the store bought ones if you are making them a day or two ahead. Otherwise the tortillas break down and become soggy.  Freestyle Smart Points:5 per wrap if using chicken breasts, 6 per wrap if using chicken thighs, 7 per wrap if using Kalua pork. Nutritional info below based on using chicken breasts. These Thai Wraps are delicious and make a great snack or meal. You can make them up a day or two ahead. I often take them on the airplane in a cold lunch pack. In a medium bowl combine chicken, turkey or pork, cabbage, carrots, green onions, cilantro, jalapeno and 2 T. hoisin sauce. Mix well. Place a tortilla on a cutting board, spread 1/2 T. hoisin sauce over the entire tortilla. Place 1/2 c. filling near the bottom of tortilla and roll up tortilla. Use a toothpick if necessary to fasten tortilla. Cut into 2 pieces if desired. Do this for the remaining tortillas. If you are making these wraps ahead of time, it’s best to make your own tortillas (see my recipe) instead of the store bought ones. Wraps made with homemade tortillas will keep about 3 days. Otherwise the store bought tortillas (especially the low carb or whole wheat ones) break down and become soggy within a day. No Replies to "Thai Chicken/Pork Wrap"